The Real Estate Industry in India has seen a drastic change after the Real Estate (Regulation and Development) Act, 2016 (RERA) coming into picture. Though the Act is applicable to all the states of the country but Maharashtra seems to be quickest amongst all. The Maharashtra Real Estate Regulatory Authority (MahaRERA) and the Adjudicating have managed various complaints recorded by various allottees against the builders where there is a delay in possession of the ongoing projects. The RERA objective was evident that it was established to ensure the sale of a plot, apartment and building in a real estate project and to safeguard the interest of the home buyers. Since the implementation of the Act there has been so much confusion about the applicability of the provisions of the RERA, and definition of allottee is one amongst those. The definition of allottee in RERA Act includes a person to whom a plot, apartment or building is sold but it excludes a person to whom such plot, apartment or building is given on rent. 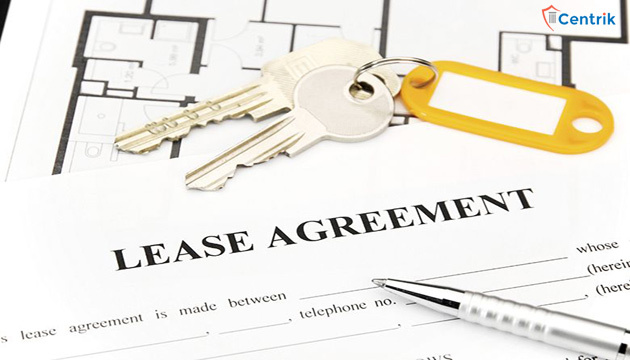 Recently, it has been found in many cases that the builders and the allottee has signed lease agreement in respect of plot, apartment or building and the clauses of the same has very much uniformity with the agreement for sale for e.g. clause related to handing over the possession. Now the question arises if an agreement to lease of a plot, apartment or building executed between the builder and allottee and the developer has also registered the project with the authority under the provisions of RERA then in such cases provisions of RERA shall be applicable or not? The FAQ’s made accessible on the MahaRERA site addressing this question and it was expressed that long term lease agreements fall in the purview of the RERA. Lately, in an issue documented before the Maharashtra RERA authority, the adjudicating officer gave an order that the provisions of RERA shall not be applicable to transactions of lease. Last week Maharashtra RERA appellate tribunal has started functioning and in its first ruling the tribunal has made it very clear that the lease transactions are within the jurisdiction of MAHARERA and they have all the right to manage these complaints. This decision is of extraordinary significance as the developers who have signed lease agreements with the allottees should comply to the arrangements of the RERA including getting their project registered under RERA. As decided by the tribunal, it can be concluded that where, as on date any lease agreements have been entered between the developers and the allottee, such allottee can reach before the MAHARERA Authority or the adjudicating officer to seek for the legal remedy such as refund of money along with the compensation and interest in case of delay in possession. In the light of above we can infer that this decision by MAHARERA tribunal is a big sigh of relief to the buyers who have paid the huge amount of money on the basis of agreement to lease. And this has also closed the exit door for the developers who have the intention to escape from their liabilities.